The St. Louis Symphony Orchestra (SLS) welcomes violinist Karen Gomyo and SLSO debut of conductor Jakub Hrůša in performances of Tchaikovsky’s Violin Concerto. 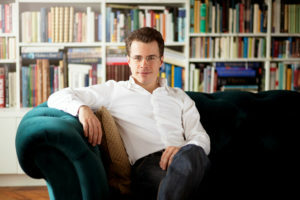 Hrůša will make his SLSO debut conducting the March 29th-31st concerts. Born in the Czech Republic, he is chief conductor of the Bamberg Symphony, principal guest conductor of the Philharmonia Orchestra, and principal guest conductor of the Czech Philharmonic. Audiences have the chance to attend the free Pre-Concert Conversation at 7:00 pm on Friday and Saturday and 2:00 pm on Sunday. All Pre-Concert Conversations will be held in the auditorium. The three-day concert conversations will be hosted by Tim Munro, creative partner for SLSO.